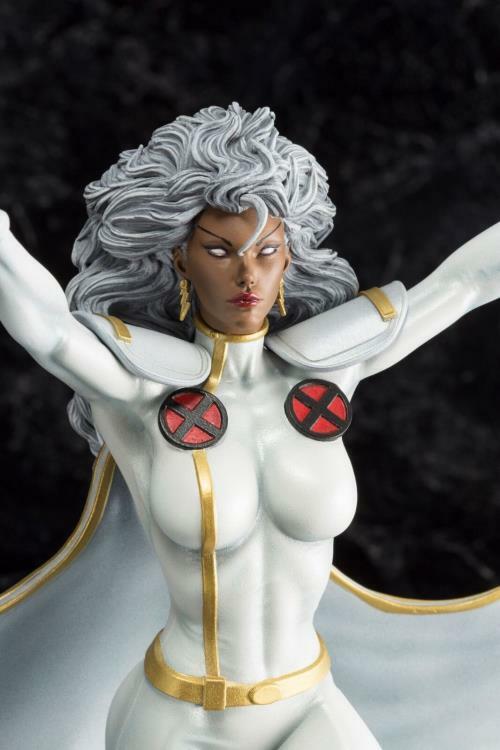 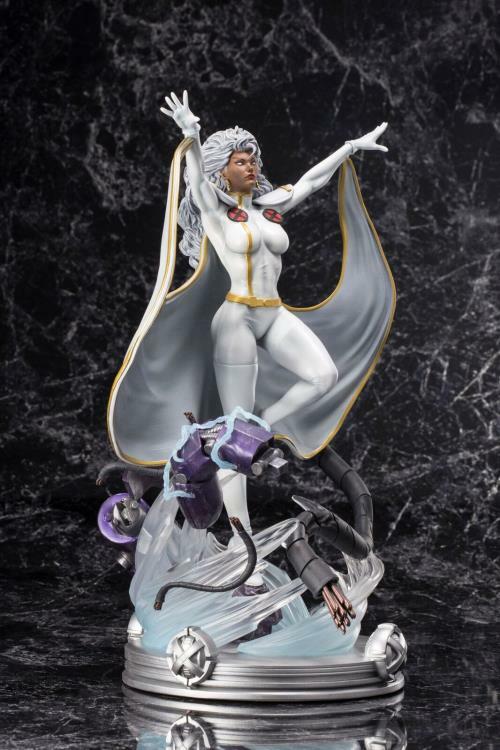 This Storm statue is the latest entry in Kotobukiya’s Fine Art Statue line of high‐quality cold cast resin statues sculpted by Erick Sosa. 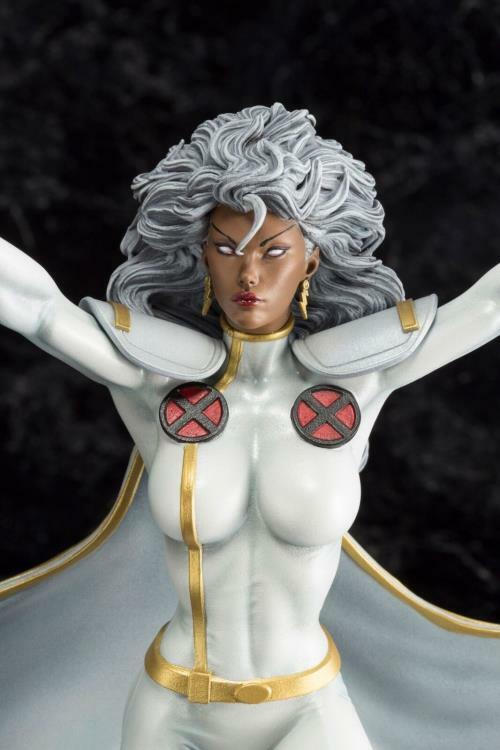 The Kotobukiya Storm depicts the Omega Level Mutant and one of the most respected heroes amongst the X‐Men! 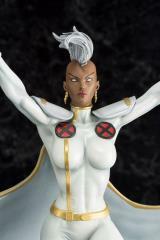 Making her first appearance in Giant‐ Size X‐Men #1 and making history as one of the first female characters of African descent, the popular mutant has since appeared in a variety of X‐Men adaptations. 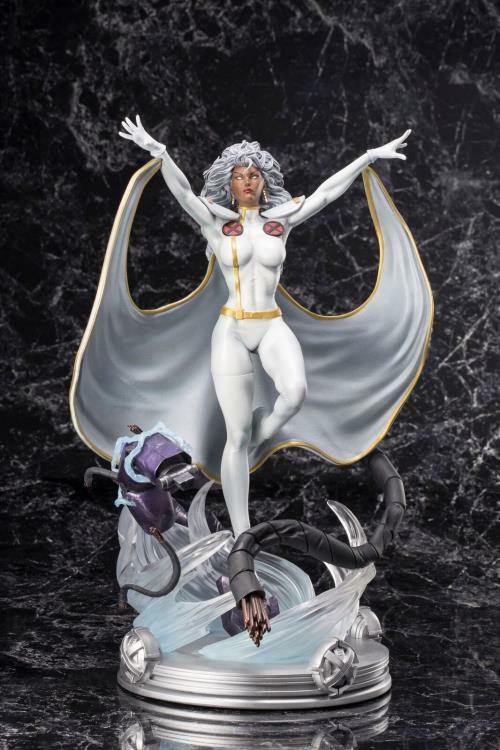 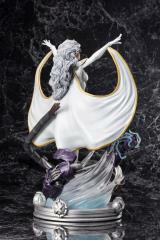 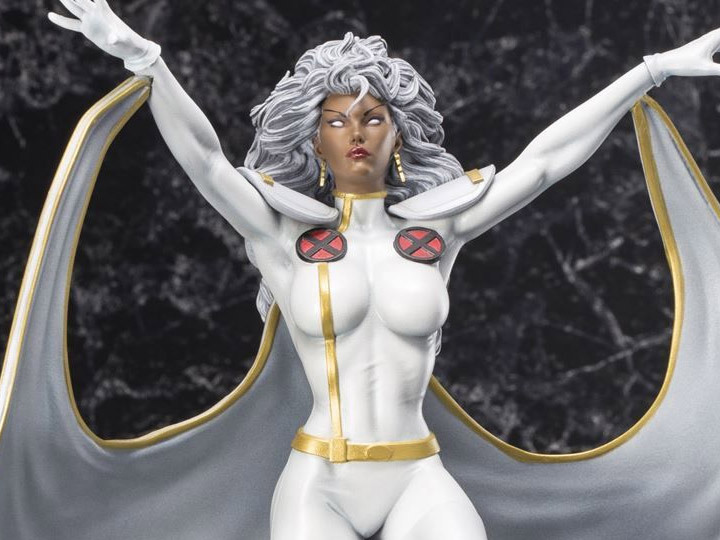 Storm’s foes are helpless against her ability to harness the awe‐inspiring powers of nature. 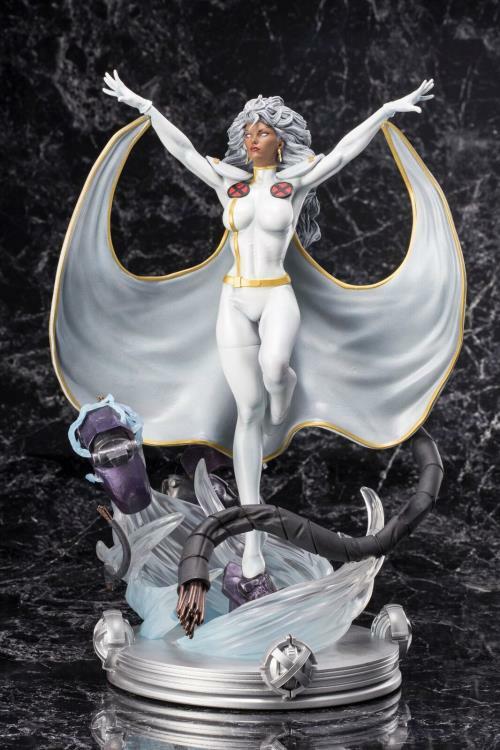 The Kotobukiya Storm's dynamic composition portray Storm’s abilities to fly and control the weather to create powerful storms, as the scattered remains of a Sentinel swirl around her. The Storm statue’s base shares the motif of the previously released Danger Room Session Statue, allowing you to expand this Danger Room themed diorama display along with your collection!